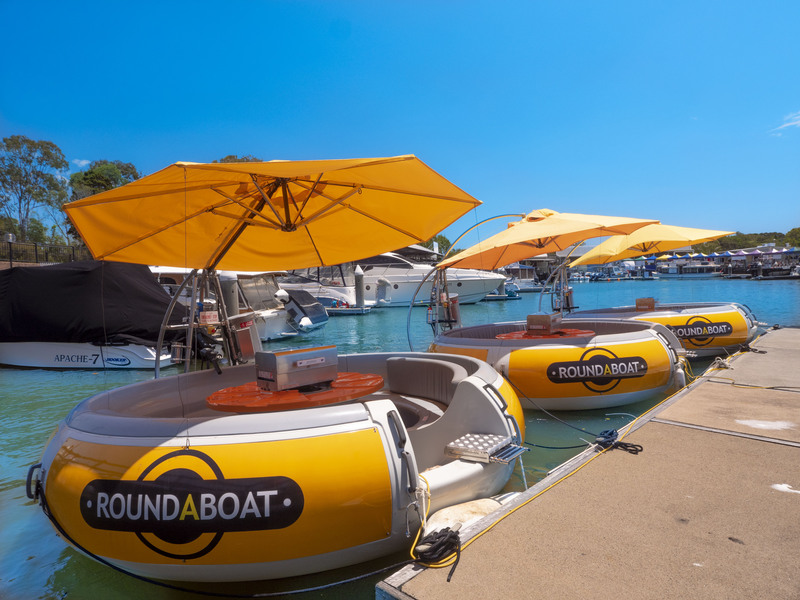 RoundAboat | Noosa’s latest eco-friendly water activity! Noosa’s latest eco-friendly water activity! Celebrate with friends with our 7 to 10 people Roundaboat Option ! 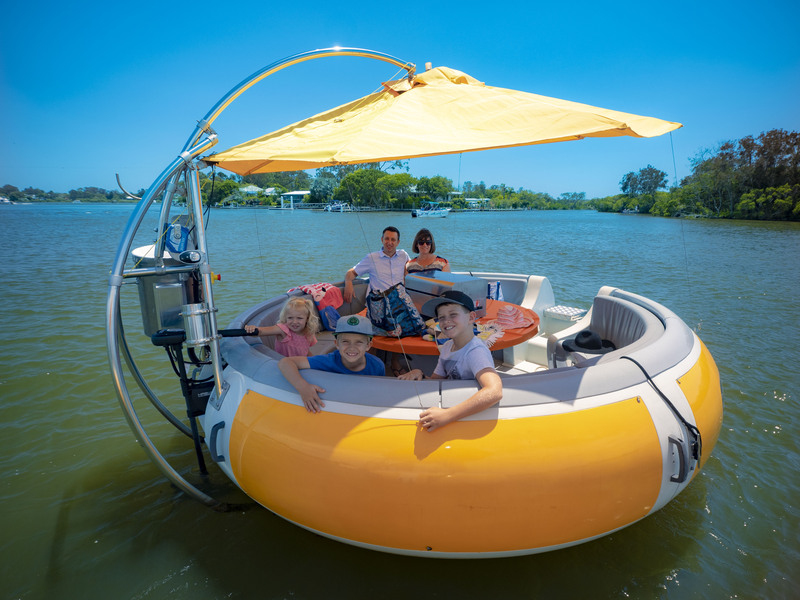 Just like it says, it’s a round boat that seats up to 10 people, a BBQ in the middle, bluetooth music and steps to have a dip on those hot Noosa days. 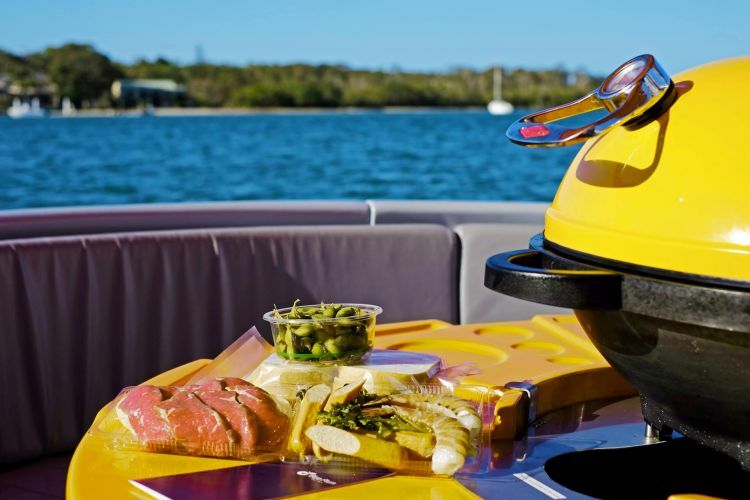 It’s powered by an Eco-Friendly electric engine giving you a peaceful ride to chat, laugh, eat and take in the beauty of Noosa River. 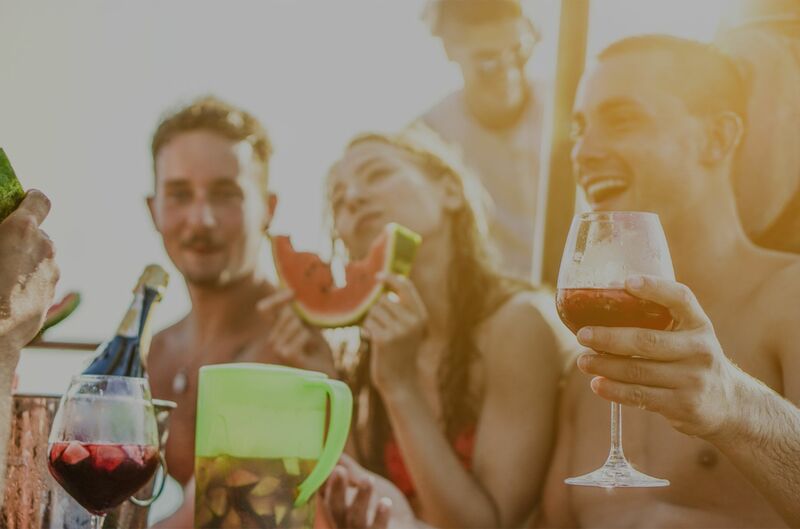 WHAT’S SO SPECIAL ABOUT ROUNDABOAT? 2 HR BOOKINGS FROM ONLY $149! Thank you so much Jason for today! We had the best time out on your Donut boat today, celebrating our brother in law's 40th together. We are a family of 5, with 3 young children and the others a family of 4. So 9 in total. It was so relaxing and very peaceful. Cant even tell the motor is going its that quiet! Roundaboats are very relaxing and a lot of fun. 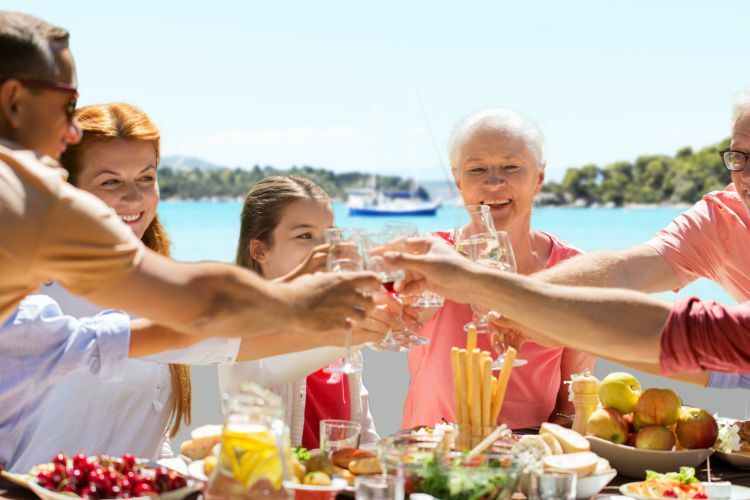 We enjoyed the time with family including 3 children just sitting back having a few drinks and cooking on the BBQ. Highly recommend this as a gift or just for yourself. Thank you Jason for helping to make this a great time. Jay was awesome. He called me in the morning to give us a heads up about the crazy weather that was predicted to hit in the arvo and gave us the option to arrive earlier. It was an awesome way to spend a lazy Saturday lunchtime! Would highly recommended to anyone! Had the best time with my friends on here. Will definitely be coming back. We hired two of these last week. They are so much fun, definitely worth the money. I'm not sure who had the most fun, the kids or adults! Had such a great afternoon! The staff were friendly and helpful! 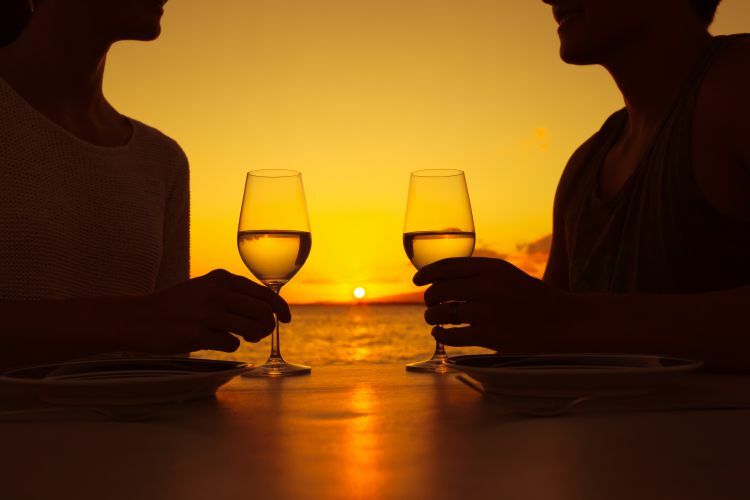 Definitely, a must do! Had such an awesome time with the fam bam!!! Many laughs, great tunes and lots of fun!!! Amazing will be doing again jay was so amazing! And my friend was very happy with her birthday surprise! Thank you. Please feel free to contact us to request a custom quote for your special event. E. Please Click here to email or fill out the contact form.